Like everyone in January, I am in need of a kick up the arse when it comes to getting myself back on the healthy side of things. After working tonnes over the festive period and snacking on tonnes of French bread at work has done no good to my body. I decided it was time to introduce some healthy products back into my life and to satisfy my need of trying out subscription boxes (they're excellent, come on!). 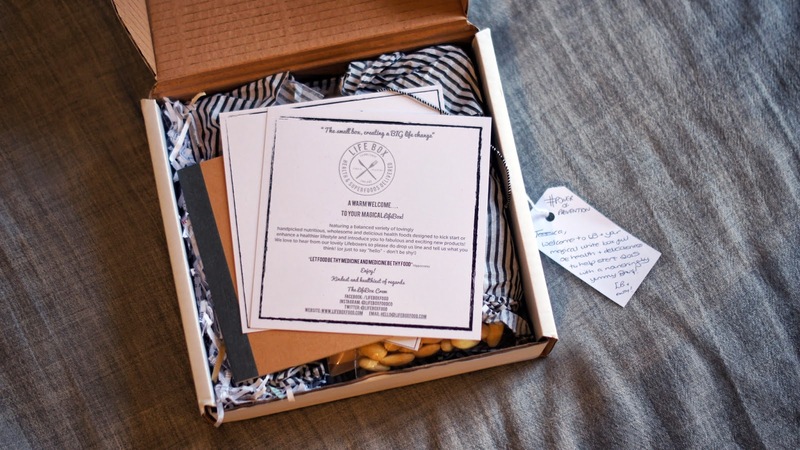 The great thing about Life Box is that you don't even need to subscribe and they have a huge selection of boxes to choose from. You can either make a one off order if you are just wanting to try a few things out, or you can sign up for a 3 month trial or 12 month subscription. 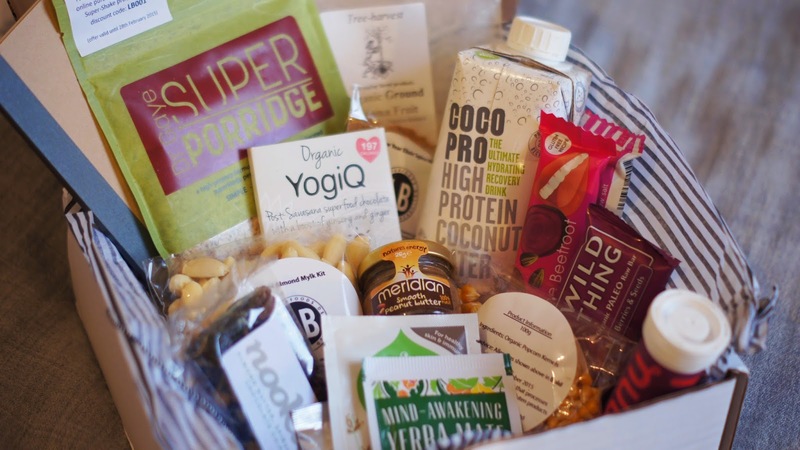 I went for a one off order for my first box and I decided to go for the Women's Health LifeBox, this stood out for me the most because I really wanted to try the Super Porridge, have a go at making my own almond milk and there is the cutest pot of peanut butter that is hard to resit. 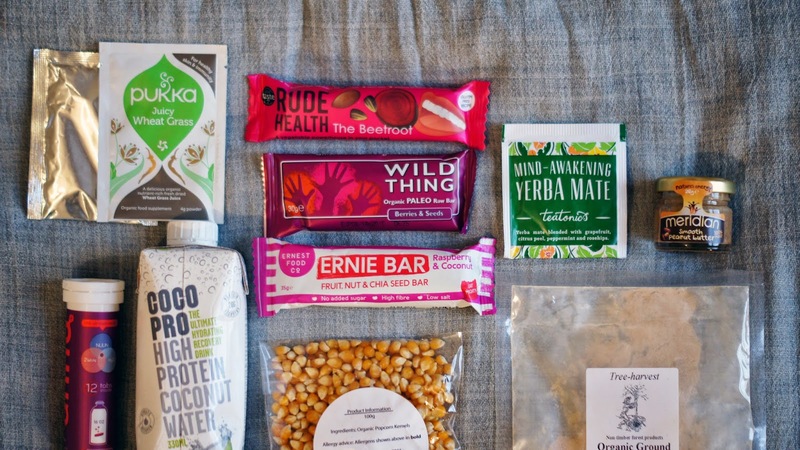 Here is a peak at the rest..
MISO SOUP SACHET, PUKKA WHEAT GRASS POWDER, RUDE HEALTH BEETROOT BAR, WILD THINGS PALEO BAR, TEATONICS SACHET, MINI PEANUT BUTTER JAR, NUUN ELECTROLYTE TABS, COCO PRO COCONUT WATER, ERNIE BAR. 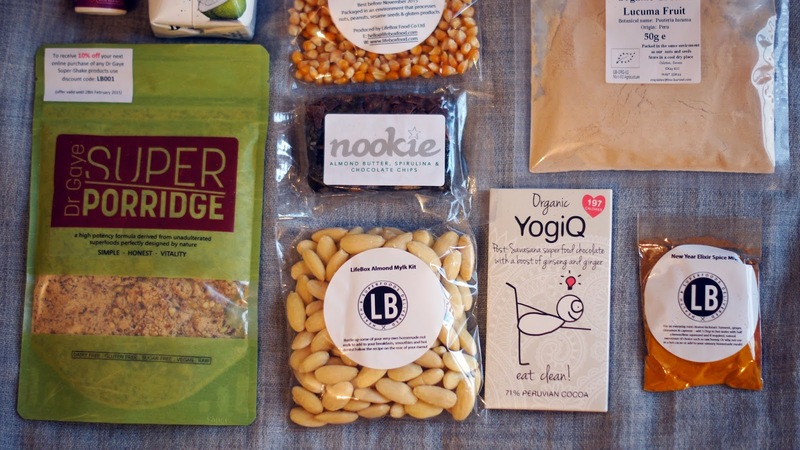 DR GAYE SUPER PORRIDGE, POPCORN KERNELS, LUCUMA SUPERFOOD SACHET, NOOKIE BAR, HOMEMADE ALMOND MYLK KIT, YOGI IQ SUPERFOOD CHOCOLATE, NEW YEAR ELIXIR SPICE MIX. As I got way too excited when this arrived I just wanted to take photos and share it with you all, which means I have not actually tried any of these products out yet. However, when I do I will share my favourites if I end up repurchasing. So far I am very impressed as it is a good way of introducing healthy items and you get so many products for the price (starting from £10.95). Have you tried LifeBox before? Or can you recommend me any healthy snacks to keep me motivated? This box looks great! Haven't tried the majority of the items here so would be good for me to try.